Approximately 750 East Side Union High School District students (grades 9-12) will defend 400 science projects before 100 volunteer judges from local industry and academia and will compete for prizes and recognition at the 14th annual sciencepalooza! Some sciencepalooza! 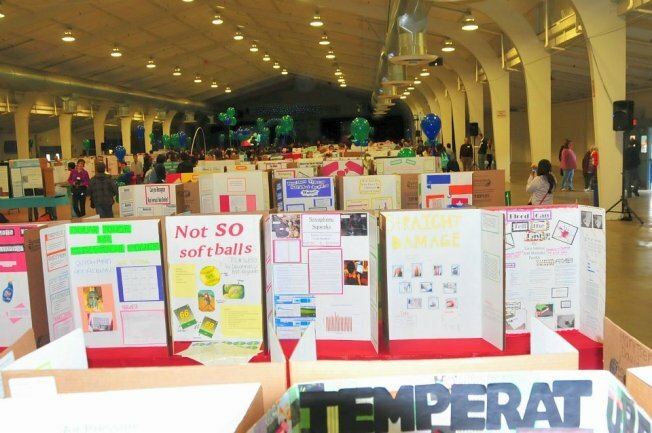 participants will also compete at the Synopsys Championship (the annual Santa Clara County science fair) on March 13 and may advance from there to the state and international competitions. The awards ceremony will be hosted by Scott McGrew, business and technology reporter for NBC Bay Area and host of Press:Here. Einstein Awards (first place) will be presented along with several special awards for students, teachers and schools. The $ 2,500 Synopsys Outreach Foundation Award will be presented to the school entering the best overall projects. Award presenters include: Former SJ Sabercats QB Mark Grieb , SJ City Councilmembers Ash Kalra, Kansen Chu, Xavier Campos and Rose Herrera. Sciencepalooza! is a joint venture of the non-profit Synopsys Silicon Valley Science and Technology Outreach Foundation and the East Side Union High School District and is sponsored by NBC Bay Area. Additional community sponsors include the SJSU Colleges of Science and Engineering, Chabot Science & Space Center, Our City Forest, RAFT, SETI, Maker Faire, BABEC and SCCBEP.